Some of Margaret Thatcher’s comments have been described as “unabashedly racist” by Australian Foreign Minister Bob Carr in an interview with a local broadcaster. In a conversation with Margaret Thatcher “in her retirement”, Bob Carr said the former British prime minister had warned Australia against Asian immigration. Margaret Thatcher said “if we allowed too much of it we’d see the natives of the land, the European settlers, overtaken by migrants”, Bob Carr recalled. Baroness Thatcher, 87, died on Monday after suffering a series of strokes. Bob Carr made his comments on the Australian broadcaster ABC’s Lateline programme. He said he had been “astonished” at the comments by Margaret Thatcher, which were made while his Malaysian-born wife Helena was “standing not far away” but was “fortunately out of earshot”. But he said he retained respect for the “boldness of her political leadership”. Bob Carr prefaced his comments by saying Margaret Thatcher had been “the most significant” leader since Winston Churchill, forcing social democratic parties to “think more deeply about the function of the state”. 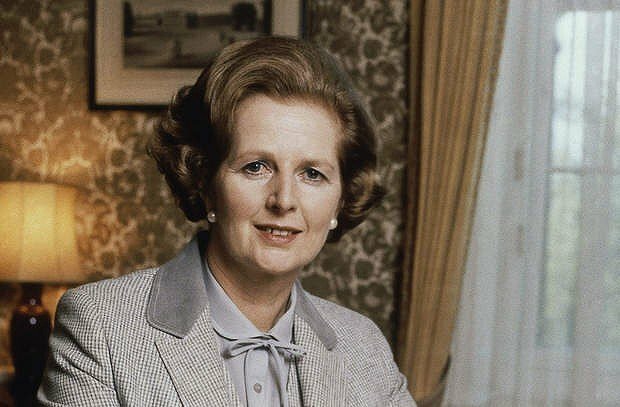 Lady Thatcher had been “right in joining [former US President Ronald] Reagan and denouncing the old Soviet Union as an evil dictatorship”, he said. “On 100 other things I would pick arguments with her and I recall one conversation I had with her in her retirement where she said something that was unabashedly racist, where she warned Australia – talking to me with Helena standing not far away – against Asian immigration, saying that if we allowed too much of it we’d see the natives of the land, the European settlers, overtaken by migrants. Bob Carr went on to recall: “I remember one thing she said as part of that conversation, she said: <<You will end up like Fiji>>. She said: <<I like Sydney but you can’t allow the migrants>> – and in context she meant Asian migration – <<to take over, otherwise you will end up like Fiji where the Indian migrants have taken over>>. Margaret Thatcher will be buried with full military honors at London’s St Paul’s Cathedral on Wednesday April 17.